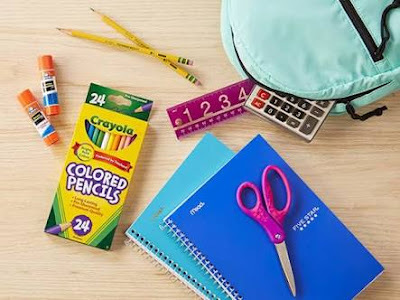 If your child is heading back to school next month, it’s time for you to start shopping for their school needs, for everything from backpacks to new clothes. Here, Jumia will be going through the top things your child needs for their new school year to better prepare them for the school year ahead. A good-quality, durable backpack is among the most important things that your child should have for their new school year. However, you should make sure it has plenty of pockets for school essentials and is large enough to fit their lunch box, laptop, etc. Remember, a backpack should last two to three years, so make sure it’s one they’ll want to keep. Notebooks are especially important for your child’s schoolwork. Before you buy any notebooks, ensure you read through your kid’s itinerary beforehand, the last thing you want to buy is a dozen notebooks that he or she don't need. Your child won’t be able to do all their work on their computer if they have one. You should purchase plenty of pens and pencils to last through your child’s first semester. After all, with the amount of writing they will be doing all day, plus homework, it’s best to have plenty to pack in their backpack for school and at home. Unless your child plans on buying lunch at school, you should purchase a good kid’s lunch box for their packed lunches. Buying your child a water bottle can help keep them hydrated during the school day. Having plenty of water on hand can help keep your kid concentrated and focused on their schoolwork. Not to mention, a water bottle will be helpful during their after-school activities. What new back to school outfit would be complete without a new pair of shoes and clothes? Children often grow out of their old shoes from year to year so this may be necessary anyway. Be sure to find a comfortable pair of shoes and clothes that your child can wear every day.